After two weeks in England with a delightful heatwave and a party atmosphere at the prospect of football finally coming home (alas, it was not to be), it is with a heavy heart that I must return to work in Prague this morning. A heavy heart, and a heavy belly, because I was in England to eat. And this quintessentially British dish seems like a good point to start recounting my holiday culinary adventures. 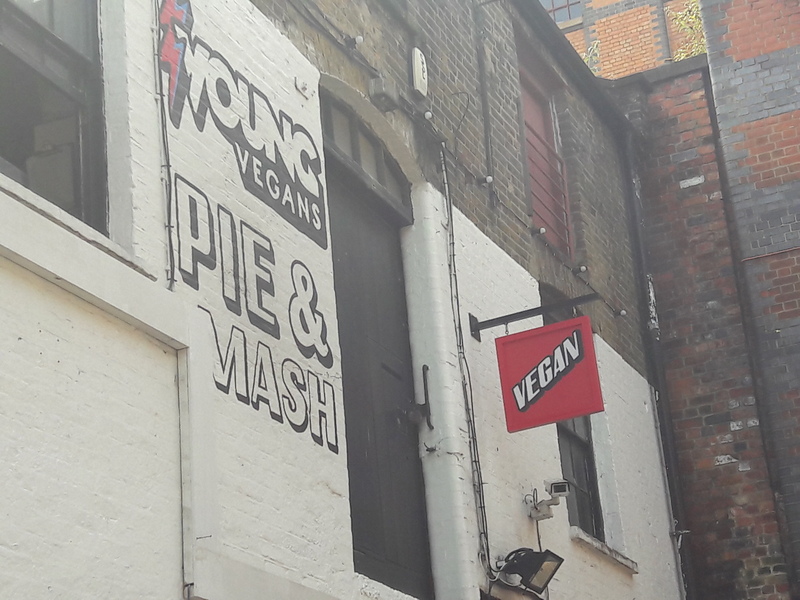 Young Vegans is a pie and mash shop at the Camden Lock Market. 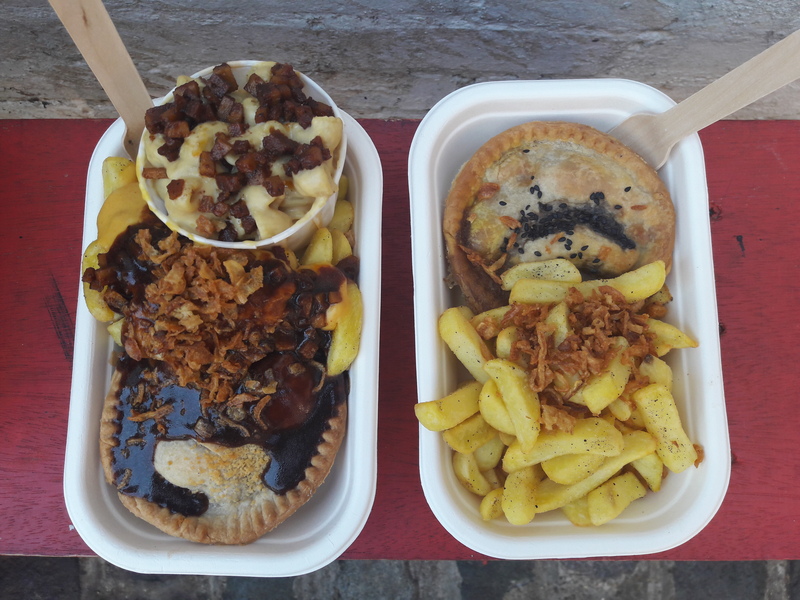 The basic menu is pie with mash/fries and gravy for £7, with various side dishes available too for a bit more money (peas, cheesy fries, etc). There were about 5 pie options when we visited, and it was quite tricky to narrow it down, but somehow we did it. 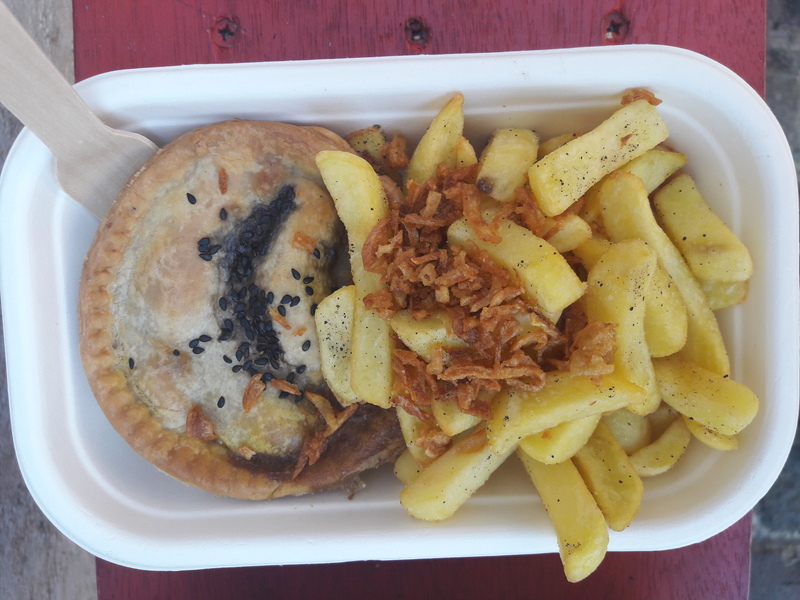 I got the chicken katsu curry pie with fries, because how often do you get a vegan chicken katsu pie?! It was a wonderful concoction: a really tasty sauce with lovely, tender, huge chunks of chicken. The pastry was great, and it was quite the generous portion. I was also pleased to note that the fries were in fact chips, and quite delicious! Dr HH opted for the steak and ale pie, which had a really rich sauce, and good chunks of meat. As you can see, he also got the gravy, which he deemed very good (I wasn’t sure a traditional gravy would go with katsu curry, hence I skipped it). He upgraded to two sides: cheesy chips, and mac and cheese. 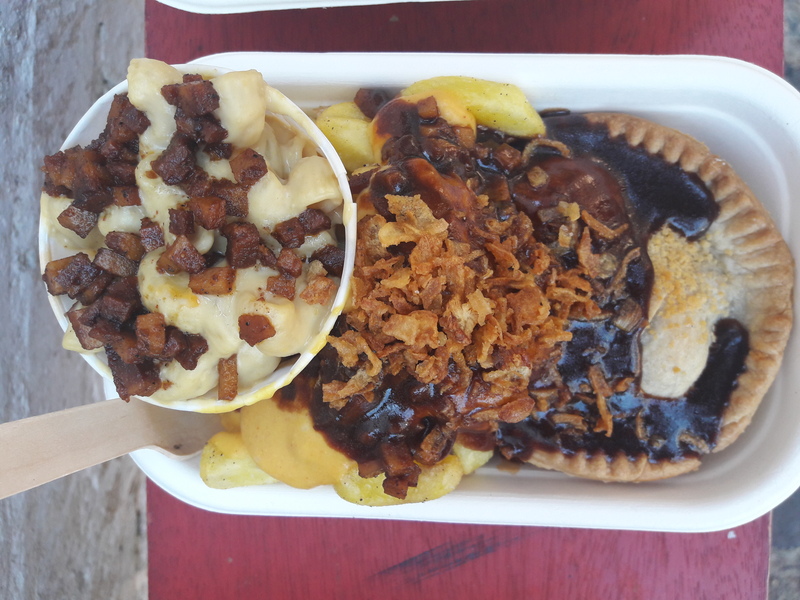 The cheesy chips were good, and the mac and cheese was nice but a tiny bit chalky in texture. Thee bacon crumble bits were spectacular though! All in all, it was filling, friendly, and fantastic! As it’s at the market, seating can be an issue – there were a few indoor stools, and outdoor benches, besides the general market seating, which can fill up quickly. Don’t let that deter you though, even if you have to stand up it’s worth a visit! When we were in they had two sweet pies/tarts as well…if only we’d had room! 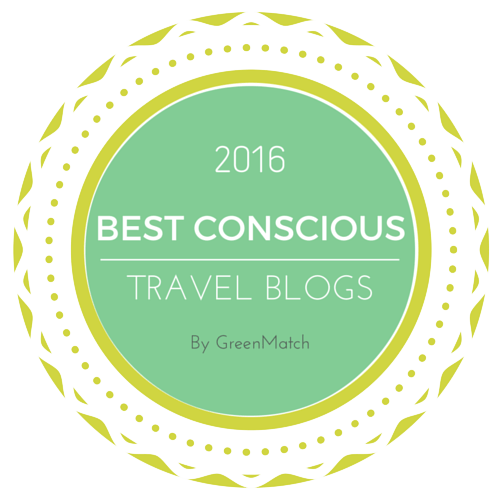 This entry was posted in Travel and tagged vegan London, vegan pie, vegan travel, Young Vegans London. Bookmark the permalink. I recently visited Young Vegans and loved it! I had the same combo as Dr HH minus the bacon bits (allergies!) and it was great. Yes, such a great spot! There should be more vegan pie places! I’ve always wanted to go here – I go past it every time I visit Camden, but unfortunately I always end up eating elsewhere before I remember it. As soon as I head back to London though, I’m getting me some pie and mash! I’ve missed it so much as a vegan/vegetarian. It’s always tricky to fit in all my dream eateries on a trip to London, but this one was definitely worth the trip to Camden! Hope you make it next time! So do I. Have you ever been to Temple of Seitan in Camden/Hackney? I LOVE that place, and I always make sure I go there for special occasions, I should make sure I prioritise pie and mash like this! I went there once earlier this year, and it was AMAZING! I wanted to go back this summer, but just didn’t have time. Girl.. I’m just happy you experienced it at least once!